Salisbury Landscaping uses Manderley Less Water Sod for all sod installation projects. Manderley Less Water Sod is Canada’s first qualified drough-tolerant sod. Help decrease the cost of living while increasing property value, with a drought-tolerant sod that stays lush and green with as little as half the amount of water required by conventional sod. We continue to use this sod because it reduced typical watering by up to 50%, saving our customers time and money. It stays green longer and greens up quickly each season while being durable and tolerant of high traffic areas. It is cold hardy making it ideal for Canadian climates while increasing your home’s curb appeal. 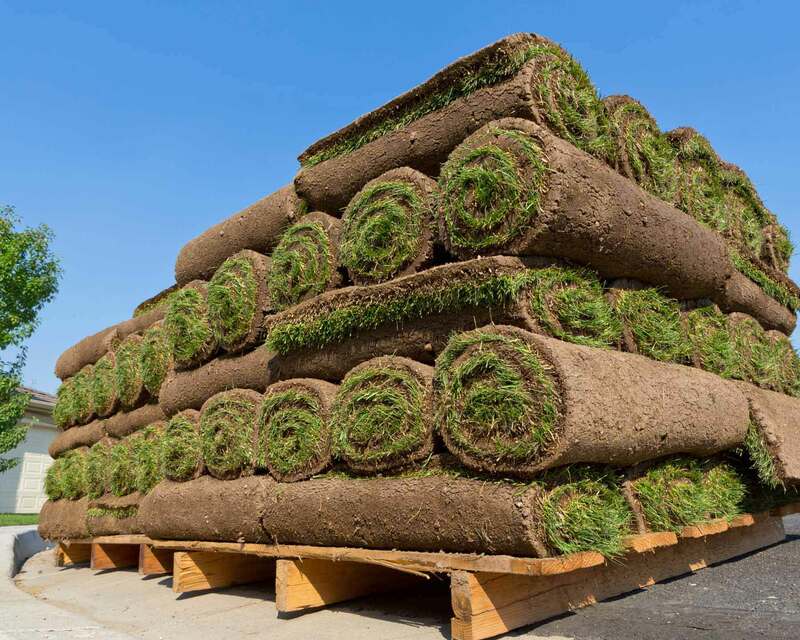 Another option to traditional sod is artificial turf, depending on the purpose for the space we offer a variety of options. with a height of 1.75” and a combination of emerald and olive colours, this artificial turf is perfect for commercial and residential yards. Eco friendly, it can withstand heavy wear and tear and stand up against the harshest climate conditions. Artificial turf is an excellent option for pets, this turf has a weave base that not only allows easy drainage it will withstanding wear and tear from a family pet. Along with this options we can install a Sulphur based lime stone screen that eliminates odors that can occur from pets. 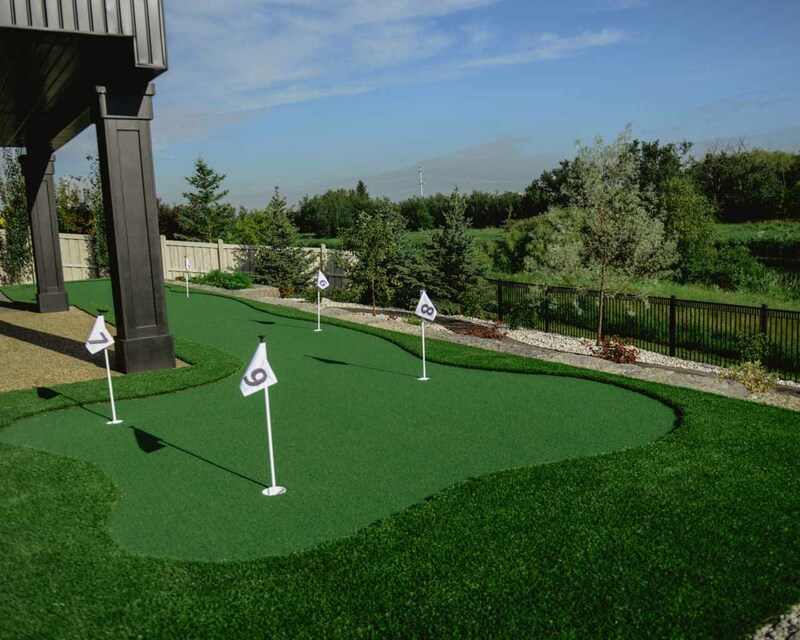 A common request in a landscape design is a putting green area. This artificial turf is the shortest of the options at just 5/8” it is ideal for a putting green. This option stays sturdy and smooth for many years and meets the highest standards in the artificial turf industry. will help you get the most out of your yard. Try it Now!